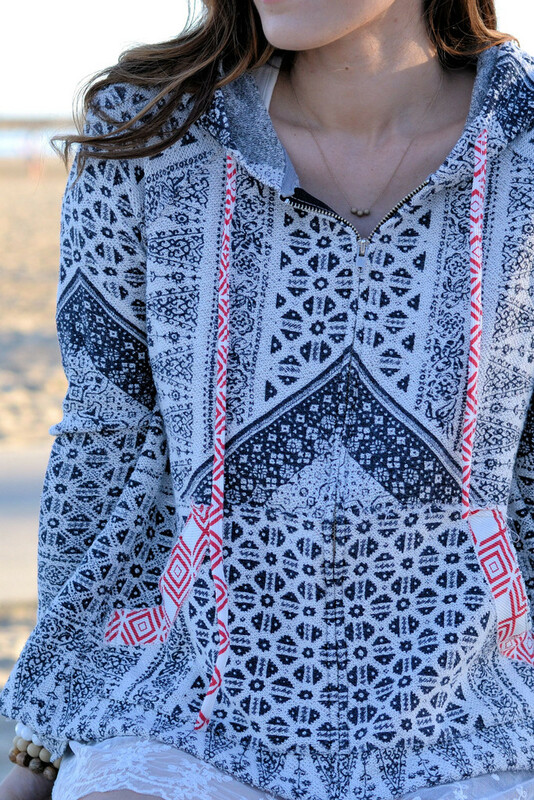 I’m so excited to be highlighting Nayeli Clothing Company today! Nayeli Clothing Company is an online boutique and pop up shop based in San Diego, California, offering an amazing selection of adorable and affordable clothes. Nayeli means “I love you” in the language of the Zapotec Indians of Mexico. 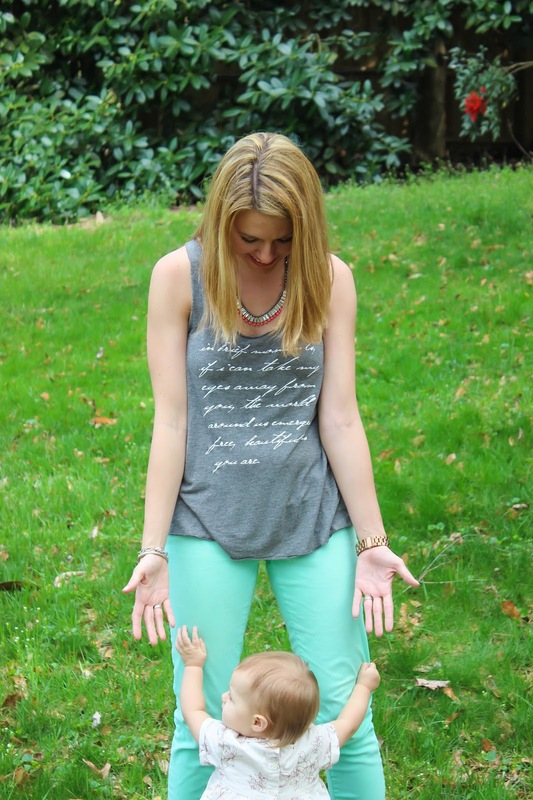 The founder of Nayeli, Jessica, is a sweet mama and also a CPA! Nayeli’s goal is to offer on-trend items that can be worn in a variety of ways. 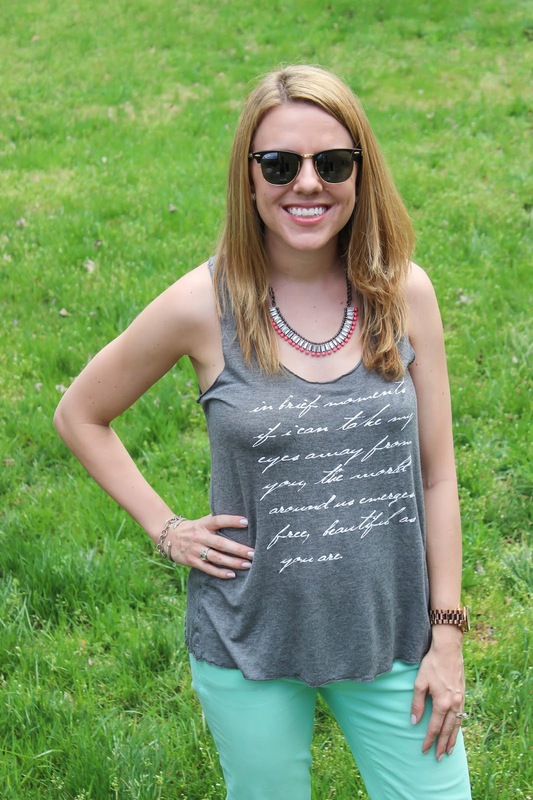 This Romantic Script Tank was actually designed by Jessica and her husband, Nayeli’s co-founder, Jimmy. It is cute, so soft, comfortable, well-made and an easy piece to throw on and run out the door since it goes well with just about anything. Interested in trying out Nayeli for yourself? They are part of an awesome Loop giveaway that we just posted on Instagram so go check it out and enter to win store credit from some great shops and some Paypal cash! Cute outfit! I will check out the loop on instagram..would like to participate in one also I am so new at all that..giveaways etc. Thank you!! If you shoot me an email I'll make sure to reach out to you if I plan one in the future! Thank you! It's pretty great! I love that tank! It looks so comfy and cute! Thank you it is definitely both! 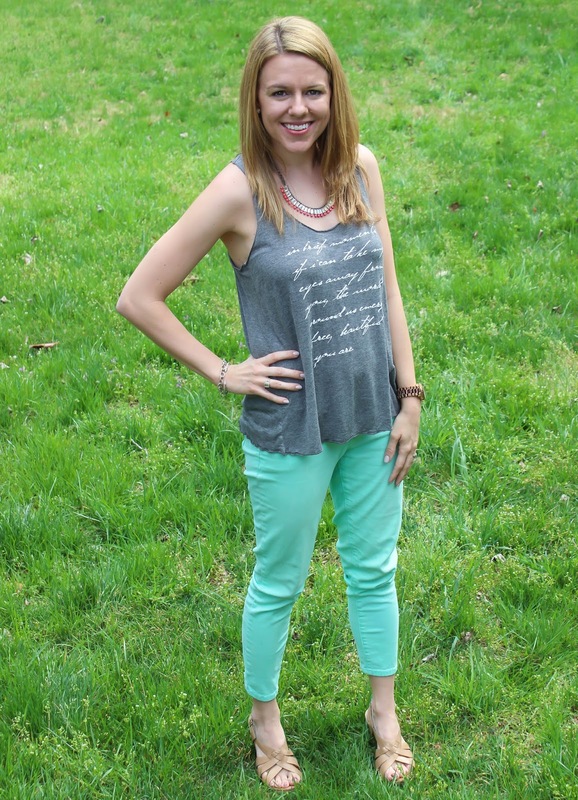 Me too – perfect for Spring! Cute and comfy top, I like it! And you're making me ready to pull out my mint capris!! 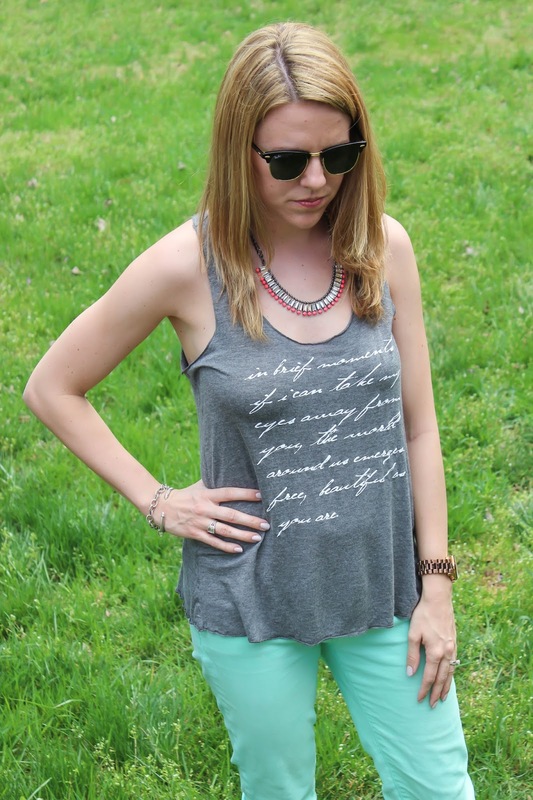 I love the tank you are wearing and the mermaid one also!